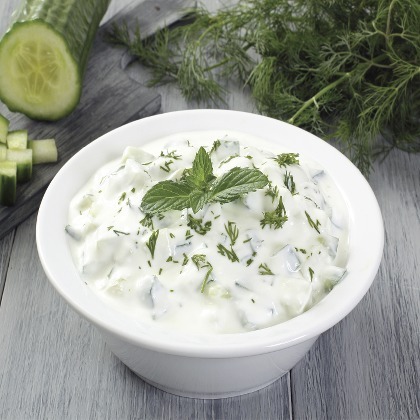 Atmoslab Tzatziki is a great combination of yogurt, spearmint and cucumber, subtly merged for the creation of a celebration of tastes and senses. Memories of summer vacation in Greece next to the sea. Wonderful tzatziki, without garlic for everybody! Tzatziki flavor is available in 10ml pharmaceutical glass bottle with inner dropper and tamper-evident cap.